Gallery Hours: Wednesday through Friday 10 am – 4 pm and Saturdays 12 – 4pm. The gallery is closed on major holidays. The Mulberry Street entrance to ArtReach is wheelchair accessible. 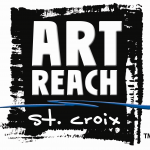 If you need help accessing ArtReach programs and services, or have questions, please email us at info@artreachstcroix.org, or call 651-439-1465. The improvements to the front and side entrance were funded, in part, by the Minnesota Arts and Cultural Heritage Fund as appropriated by the Minnesota State Legislature with money from the vote of the people of Minnesota on November 4, 2008.